At the forefront of all we do is the knowledge that well-trained doctors save more lives and I am hugely proud to have led the Foundation since we were granted charitable status. I will always be closely involved with what this special charity does but have decided it is the right moment to hand over the leadership of this next phase of its growth. Succeeding me as Chief Executive is Ivar Milligan, who since joining us last year has demonstrated remarkable impact, capability and commitment to the values and mission of the Foundation. Between our staff, Trustees, Patron and faculty, the Foundation will continue to thrive and bring the best in surgical training to those who need it most. When I set up the Foundation with David we had in mind two principal activities; raising money for doctors to be taught in the UK on the STAE course, and running war surgery courses abroad. 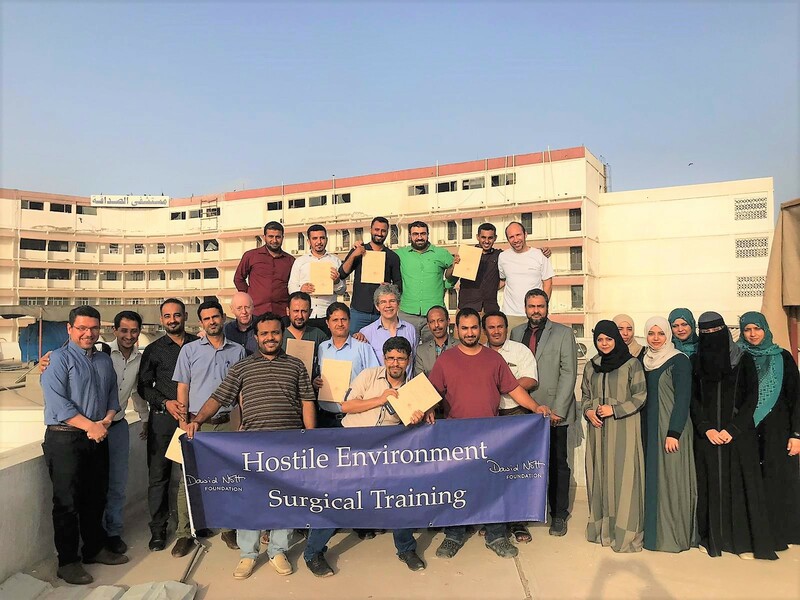 Since 2015 we have trained 608 doctors including 49 on our scholarship programme and 519 over 11 Hostile Environment Surgical Training (HEST) courses abroad. What the Foundation has at its core is an open-heartedness and willingness to set our eyes beyond the horizon; beyond our shores and out to the world. It’s an unwillingness to look away from suffering and instead ask what we can do to make things better. Whether you donate, give up your time or support us in another way; you are all a vital part of our community and I thank you from the bottom of my heart. Ivar joined the Foundation in October 2018 and took over as Chief Executive in February 2019. He joined from Consilium Strategic Communications, a financial public relations firm within which he was an Associate Partner specialising in investor and corporate communications for the healthcare sector. The Royal College of Surgeons of England’s STAE course is arguably the most advanced conflict trauma course worldwide. Set up by David Nott with the Royal College of Surgeons of England, it covers the full spectrum of injuries, procedures and considerations expected in austere or hostile environments. 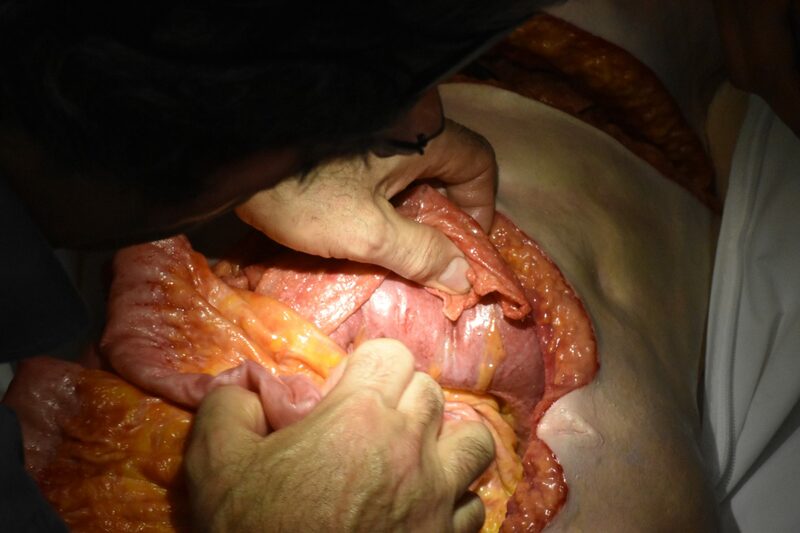 The first four days of the course were held in Manchester in the university’s cadaver lab, giving the surgeons a chance to learn and practice on real bodies supported by videos, slides, anatomical models and a world-leading faculty. The final day was held at the Royal College of Obstetricians and Gynaecologists, learning to deal with the decision making and management of obstetric emergencies including post-partum haemorrhage and caesarean section. The Foundation hosted 13 scholars from South Sudan, Uganda, Mexico, Iraq and Nepal, among others, encouraging a fully international sharing of experience and ideas and the beginning of an enduring relationship with each of these scholars. 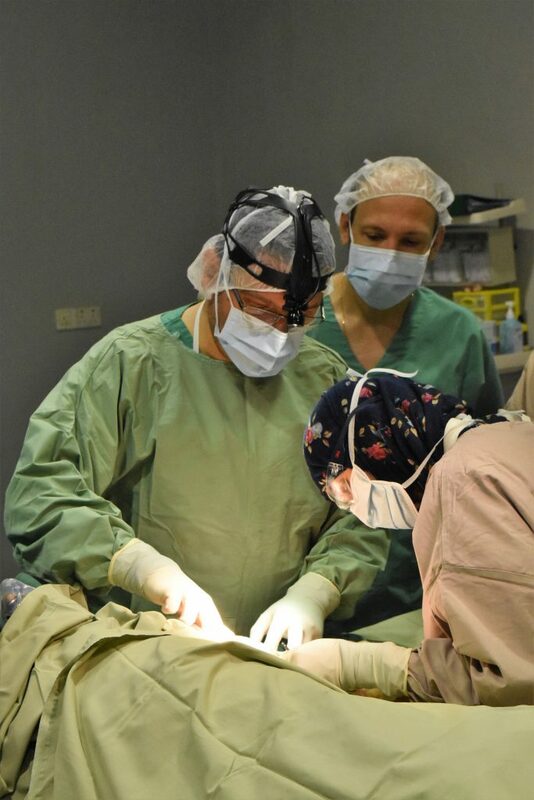 With a faculty of four and the support of MSF, we ran two four-day courses for over 50 doctors; teaching, discussing cases and learning about the latest injuries from the front line and what these surgeons were able to do. They came from Mocha, Hudaydah, Aden and surrounding smaller towns. We arrived in the wake of a drone attack at a military parade, with some of the casualties being brought to the hospital where we were going to teach. The training we deliver is for often complex situations and targeted at surgeons and doctors who, on the whole, have to deal with complex trauma in often under-equipped theatres. To cope with this, they have to be creative, combining the art of surgery with an exemplary understanding of the science of physiology. 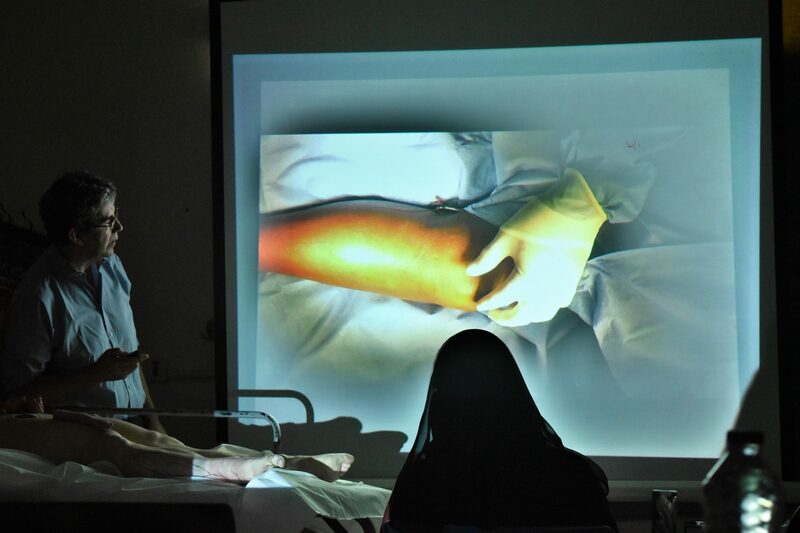 Critical to the successful learning of surgical procedures is the ability to touch, feel and observe the anatomy of the patient and for this mission we were accompanied by our bespoke simulator mannequin on its first training mission. Our faculty talked through and demonstrated various procedures on the mannequin as the doctors crowded around to observe this unusual visitor to their hospital. Thanks to donations from the UK we were also able to purchase two obstetric simulators last year, one of which also travelled to Yemen and enhanced our teaching of possible surgical interventions during childbirth. We taught the basics of plastic surgery that would allow muscle and skin flaps to be raised and used to cover terrible wounds. It was a joy to see that after one training day, in the evening we assisted the Yemeni surgeons with an eight-year-old boy having a patch of skin and muscle from his forearm pivoted down to cover a bone-deep wound to his hand, keeping the blood supply intact and likely saving him the use of that hand. Without the training this would not have been possible to do in the same way. During the evening we would spend time with the surgeons in the operating theatre putting into practice the techniques they had learned in the classroom, notably severe pelvic injuries, gunshot wounds to the kidney and major vessels and thoracic injuries. Many of the casualties were dreadful blast injuries from the effects of landmines, which we had also covered in our plastics sessions showing how to properly debride wounds to remove all sources of sepsis. 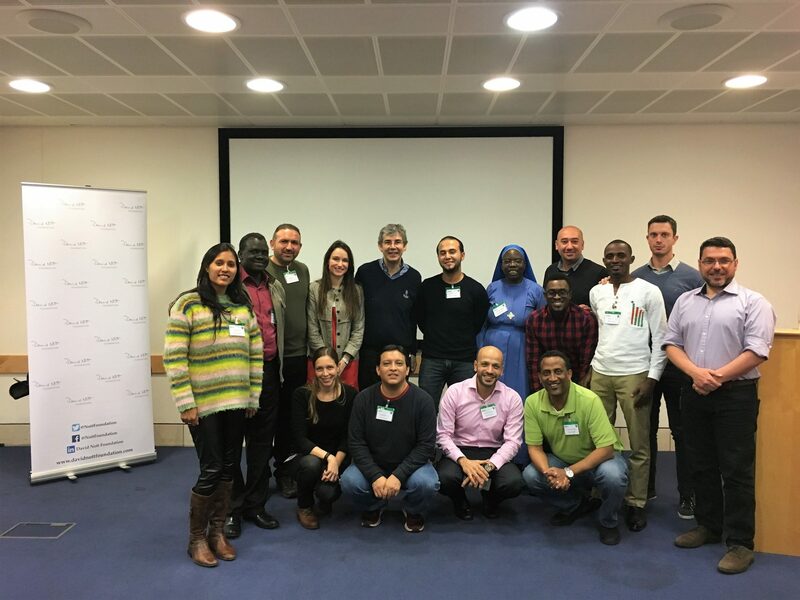 In a wonderful continuation of our relationship with the surgeons of Yemen, several of those trained by David back in 2016 were able to come along to this course as well, contributing a huge amount and helping the faculty with case studies and feedback which was overwhelmingly positive. 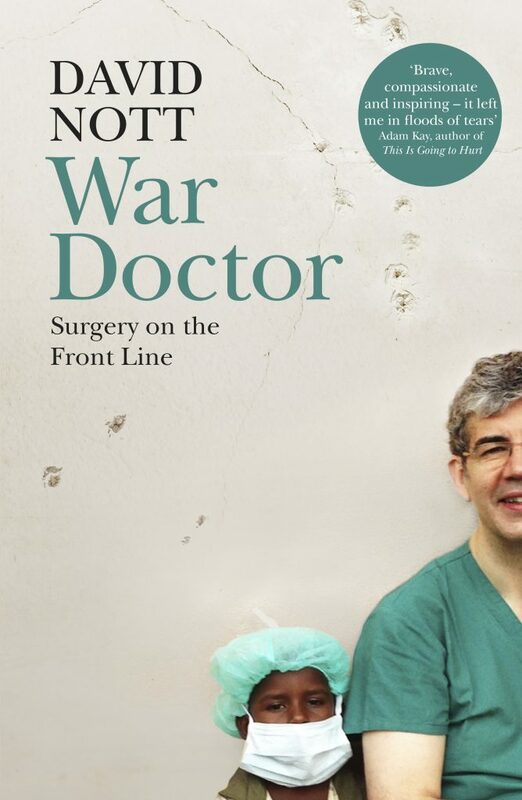 David Nott’s new book, War Doctor, will be launched on 19 February and on sale from 21 February. Describing some of the most harrowing, the most beautiful and the bravest of happenings, it takes a reader through David’s riskiest times whilst also giving an understanding of the human behind it. It goes without saying that we wholly commend this to you all and hope that you will want to find a copy for yourselves and to give to others. The Foundation is now registered with Amazon Smile, Amazon’s charitable portal which donates 0.5% of each sale to your nominated charity. 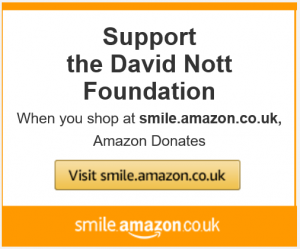 To be a part of this, please login to Amazon via www.smile.amazon.co.uk, select the David Nott Foundation from the drop down and then make sure you return to this portal each time you buy; the Amazon system is identical once you are ‘in’. The perfect place to buy a copy of War Doctor. We are constantly in awe of the support we get from volunteers and friends of the Foundation. The remarkable Joyce Nettles set herself a target to pay for all the costs of the Yemen mission and has, since November and with the support of an amazing army of donors, raised over £40,000. We cannot thank her and her donors enough for this. We’ve also been preparing a fundraising event in April with the wonderful Sally Ann Whetherly and her committee who have done a huge amount of work to plan and organise what promises to be a fantastic evening. We’re looking forward to the night and would like to thank them all for their help. If you would like to get involved in any events as a fundraiser or volunteer, please do send us an email and we’d love to talk to you. David I came to you book signing at Glamorgan GC last night. The work you do is cutting edge and very humbling to us all with you story I have served as an Army Reserve Nurse in Bosnia, Iraq and Afghnaistan arrivng for the first time in 2010 just after you had left.the work you are now doing at RCS is also very good and I attended the MOST course there prior to deplyment. Certainly I am now looking to leave my body to RCS. David I wonder if you would consider taking to us as part of our engageemnt talks later in the year which have a military theme. Webwold take this opportuntiy to raise funds for you. Venue is Cardiff Public Health Wales NHS Trust.
. I have only just read about David and Ella’s work in the press having heard the programme on radio 4 Extra this morning . I am in awe of what you are contributing in such a practical way .